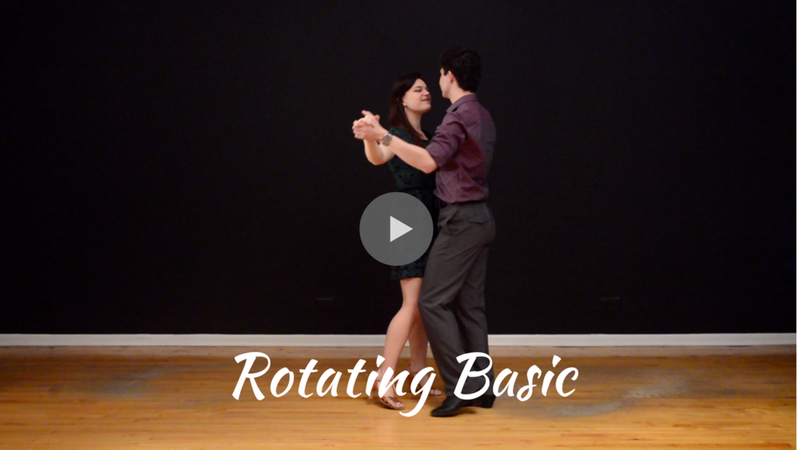 In this lesson, you will learn how to rotate the basic step to make your dancing more interesting. This is also a great move to help you navigate around the dance floor. Keep a strong dance hold and maintain the distance between you two. Leader, keep your right elbow lifted and use your right arm to rotate your partner. Follower, keep your shoulders rolled back and down and stay connected to your partner’s right arm while rotating.